Want to experience an exhilarating feeling of tranquillity, deep relaxation and freedom from muscular stiffness with emotional wellbeing as the objective. Massage can assist with general health and enhance self-esteem, while boosting the circulatory and immune systems to benefit blood pressure, circulation, muscle tone, digestion and skin tone. Massage is a relaxing treatment which helps relieve muscular stiffness and tension, stress and fatigue, and promotes a feeling of well-being. Holistic Massage consists of gentle and flowing strokes, or maybe a Deep Tissue Massage would be more your preference. Either treatment is complimented by aromatic oils to suit your requirement - calming, stimulating and soothing. Or how about enhancing your natural beauty by emphasising those big beautiful eyes you have been eager to pamper?! Professional semi-permanent eyelash extensions are the new craze that everyone is talking about...so why wait? 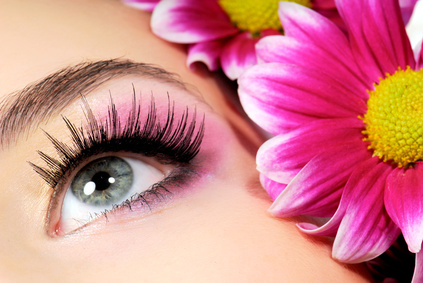 Eyelash extensions are the answer! The new product that produces fuller, longer glamorous lashes for that all important special occasion or tone it down with a natural look for everyday, you wake up and are ready to go!